Instagram has more than 300 million active users who share 2 million photographs every day. The platform had started a feature called stories. The Instagram stories feature similar to the snapchat feature. The Instagram stories are not the main feeds, and they can be posted in a separate space instead of timelines. It prevents the spamming on your friend’s timeline. Advertisers targeted this feature to leverage the marketing outcome. Let us know how to advertise with the Instagram stories feature. • Advertisers always target the new features that are trending across the web. The Instagram Adverts are very immersive, and they can appear in full-screen mode. • These adverts can help your business to target the people by enhancing the targeting capabilities. • They can target with the personal relevance of the people you are focused. • These adverts are also leveraged the analytics with measurement tools that increase the confidence in businesses and for advertisers. • You can display the adverts to the maximum number of targeted people in your audience. You can also have better control over your adverts. • Images and videos must be in 9:16 ratio at 600 pixels and more in width. • There will be no carousel type of ads where you can mix up image and video. • The video length must not exceed 15 seconds, and there will not be any standalone type of content like text, titles descriptions, etc. • The call to actions and links can be updated in the ads. How to create adverts in Instagram stories? • Click on the ‘placements’ button present in the Ad set section. • Select the ‘edit placements’ button and select the Instagram placement and simply click on ‘stories’ tab. • Follow some simple steps to start building your ad campaign. • Click on to the ‘review changes’ option to publish your changes. These ads have grabbed considerable attention from the people. The brand had researched the creative elements with different tools like intelligence tag technology and boosted their performance. The brand achieved 24 percent more video completion rate than they expected. Moen is a brand in North America. The brand started showing its very best features of the product in a new light. It utilized the content in motion tools for the creation of ad that was specially designed for the Instagram stories. They are successfully grabbed more than 45 percent impressions by creating engaging content in a quick and efficient way. • The stories are appearing at the top of the feed and users can tap to watch the last 24 hours of 10 seconds video clips that are posted. • Stories appear in full-screen mode. • There is an option to rewind and forward the stories. • You can just swipe on to the next story in advance. • There is no option to like a story but the users can comment or can tap to send a message. • Click on the home screen and tap on the plus symbol button that was present on the top left. • It opens the storied camera to take a picture. You can hold the circle to switch the video. • There is also an option to adjust the flash settings at the bottom left and can switch the camera to the front facing. • By swiping down, you can upload the photo or video from the camera, and it must be taken within 24 hours. • After capturing the photo or video, you can simply tap on to the pen icon that is present at the top right. • There are three different options for the pen and users can choose different color options. • You can also add the emoji or text to your story by tapping the ‘Aa’ button. • You can also have options to move and resizing the text with full effects. • The stories also have filters which are different from Instagram. • There are some filters for the stories, and it is different from the filters that are present in Instagram. • After finishing the editing with filters, text or drawings, you can click on the check mark symbol to post. The story will get visible for the 24 hours. 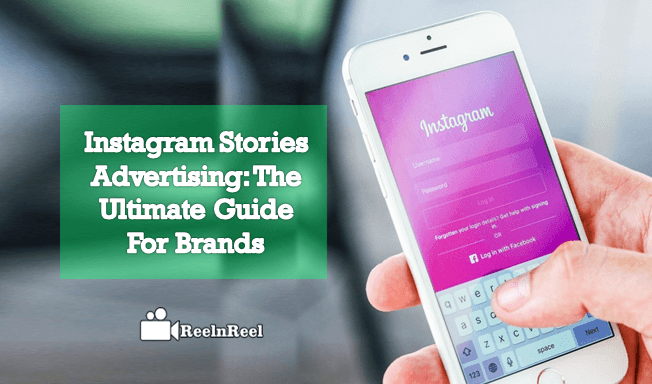 • The Instagram’s carousel Ads are mix up images. You can showcase 3 to 5 images in a single advert that directs to location-based targeting. • The Instagram stories ads switch between the stories that are available for 24 hours to watch. The stories play continuously, and ads will appear between them from two different users you have followed. • They can be integrated with the platform and labeled as sponsored. • There are two different metrics ‘open rate’ and completion rate. • The open rate can be calculated by taking the number of viewers of an individual story by followers in total in your account. • The completion rate is calculated by taking the number of viewers of the last post in your story by the number of viewers of the first post. Businesses can target the Instagram stories to reach their customers across the platform. They can increase the fan base and expand their potential in reaching the right audience. So, get started with the stories and follow the above guide.